On January 12, a series of earthquakes with magnitudes ranging from 6.5 to 7.3 devastated Haiti. The Telegraph reported that as many as 200,000 people are thought to have been killed, 1.5 are now homeless and three million were affected overall. I would like to point out two places in the Brooklyn that are holding two separate fundraisers to support the earthquake victims. Brooklyn Bowl has invited Robert Randolph and the Family Band to perform on Wednesday, Jan. 20. The show begins at 9:30 p.m. All proceeds are going to the Red Cross Haiti Fund and Yele Haiti. The Bell House will be welcoming Jimmy Fallon, Cold War Kids, Ted Leo, The Wrens, Sondre Lerche, Eugen Mirman and the Seekers on Wednesday, Jan. 27. The show begins at 6 p.m. Proceeds will be going to Save The Children and Partners In Health. Left Hand Brewing Company and Old Chicago Restaurants are hosting the first annual Craft Beer Bartender Challenge at the Old Chicago. Competing bartenders will be judged on their knowledge of ten different craft beers from five different breweries. The evening will be emceed by Bubba Love of Left Hand. The event starts at 6 p.m. Get there early! 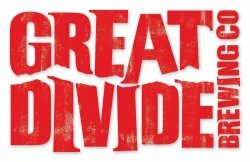 Great Divide Brewing Company is hosting the Hop Disciples meeting, where one of the brewers will be available to discuss the mysteries of beer. The event starts at 6 p.m. RSVP to info@greatdivide.com. 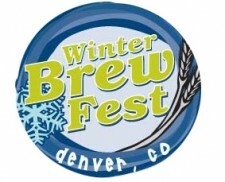 The fourth annual Winter Brew Fest kicks off at Mile High Station. The festival will feature more than 70 beers from more than 25 breweries. VIP tickets, which include a special beer-and-cheese pairing from Sierra Nevada and Cabot Cheese, are $40 in advance and $45 at the door (the VIP session starts at 6 p.m.) Tickets for general admission, which starts at 7 p.m., are $30 in advance and $35 at the door. Visit www.denverbrewfest.com for information. 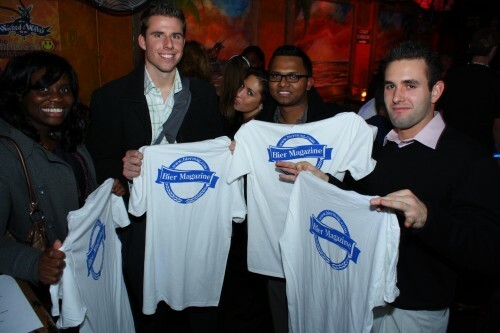 On November 5, 2009, we officially celebrated Bier Magazine’s one year anniversary at Wicked Willy’s in Manhattan. We had more than 300 guests that shared some beers and pizza while listening to the tunes of Studio E.The night continued after the band with raffle prizes and karaoke. Although this night was meant to have a blast of fun, I wanted to take the opportunity to thank the staff, brewers, family, friends, and of course the readers, for their support over the past year. 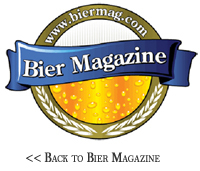 Bier Magazine has come a long way in this very short period of time. We’ve redesigned the website, added blogs and videos, interviewed some of the finest brewers in the world, and shared great beers with good people. The 600 very supportive readers that registered with us in November 2008 has grown to 4,000 readers per month. With this much enthusiasm, I can promise another year full of the latest news, inspiring stories, and educational videos. We look forward to having you come along with us on our journey so that we may continue our mission to educate people about beer, support brewers everywhere, and to raise our glasses to the best art form that I know – beer! I love that Halloween is only few days away. Last year, I dressed up as a beer garden girl. This year, I’m going a little more historical and dressing as a Native American. I’m always interested to see what beer specials are available in New York on Halloween. I’ll be bar hopping after hitting the Halloween parade in The Village. Although the parades, drinks, and parties are always fun, I don’t hear of many breweries hosting haunted houses or a Halloween festivals. Usually at this time of the year, it’s labeled as Oktoberfest festivals. NYC Beer Week was celebrated during Halloween week, but was unfortunately moved to Labor Day weekend. I did come across a Halloween event that is being hosted by Sprecher Brewing Company in Glendale, Wisconsin. Sprecher is celebrating Halloween with haunted brewery tours on October 31 and November 1. They’re encouraging everyone, yes even adults, to wear costumes. For those of you in Brooklyn, stop by Blind Bat’s first annual beer tasting at the Beer Table. For $5, you can purchase three mystery beers. If you choose to participate in the competition, the staff will ask you a series of questions about these beers. 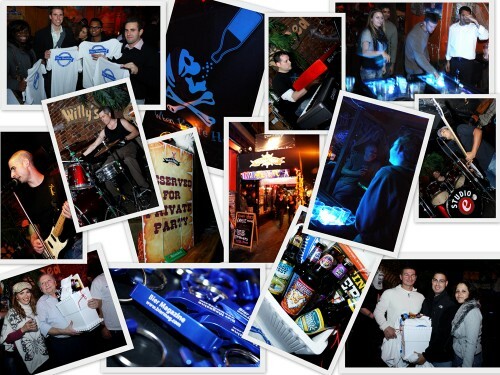 There will be special Beer Table prizes (like t-shirts and gift certificates) for those with the most correct answers. The fun begins at 3PM. Also on the East Coast, Bube’s Brewery Halloween Party and Murder Mystery in Mount Joy, Pennsylvania will be extending Halloween by having a two-day Halloween Party in the Bottling Works. They’ll have music, prizes for costumes, and a “haunted tour” after midnight. On October 30 and October 31, you can visit Alois Bar for the Kilmaine Saints “All Saints Eve” Bash. Prizes for the most original costume! While these events all sound amazing, I asked myself, why haven’t many breweries built haunted houses for Halloween? We all know breweries are cold, sticky, dark and often wet. They have a lot of space, and they would make a lot of money around Halloween. I think breweries have the criteria for being creepy if they play their cards right. Sadly, there are few that host haunted houses. I came across two haunted houses worth seeing; The Columbus TerrorFest and The Brewery Butcher, which is actually haunted. The Columbus TerrorFest takes place in the brewery district, and recreates the district as it was 100 years ago when there were actually breweries there. There are two houses that you can visit. The House of Nightmares is the twisted house of D. R. Frightner. From the opulence of the ballroom and library to the dingy asylum and operating room this state of the art attraction puts you into the demented nightmares experienced by one of the nation’s first serial killers. During the heyday of Columbus’ thriving brewery district, “The Butcher” murdered more than 38 people. For Halloween, there will be a party at Lemp Mansion, the estate of a St. Louis beer family. Tickets start at $45 per person, but believe me, you get your money’s worth. There will be live bands, costume contest with cash prizes, open bar, plus food all night. Even though the Lemp estate is not a brewery, the Lemp family built the St. Louis beer empire at the turn of the century. The family estate was connected to the brewery via a cave system that the brewers used to keep their lager cool. Many family members have died on the estate, including, the Lemp family patriarch William Lemp who wandered the caves and eventually shot himself in the house. The brewery eventually fell to prohibition and the family was apparently harried by tragedy thereafter, with five members shooting themselves. Their home is now said to be one of the most haunted places in America. Doors lock and unlock on their own, glasses lift off of tables, and pianos play themselves. Read the full story here. I found even more breweries that were actually haunted. Too bad none of them were in New York. The Moon River Brewing Building, built as a hotel in 1821 in Savannah, Georgia, is said to be haunted by paranormal investigators. It’s been featured on television shows like Ghost Adventures. Some say they hear voices and even claim to have seen ghosts when they are in the building alone. The cellar, pool room, and hallways have been reported with ghost sitings. Check out the complete report here. This sweetheart getaway/distillery/brewery is apparently rife with paranormal activity. A phantom nurse is said to lurk in the winery, which used to be the hospital wing. People have even seen a former administrator’s daughter, who died young, wandering in the halls. The reports don’t stop there. Guests say they feel someone grip their ankles at night. If you’re too scared to visit these haunted breweries or you’re a non believer, enjoy yourself on Halloween regardless and check out some of my favorite events in the U.S.